Monday, January 8th begins the 2nd Annual Lincoln Health System GET FIT Challenge for its employees. 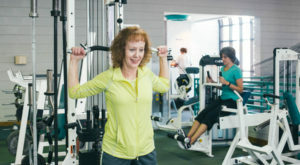 The GET FIT Challenge is designed to encourage Health System employees to stay healthy and active. Plus a little friendly competition makes reaching those New Year’s weight loss goal a bit more fun! The acronym G.E.T. F.I.T. stands for “Giving Extra Time for Individual Transformation”. 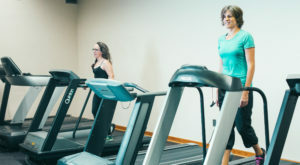 This program was started in 2017 by a group of employees who wanted to start an initiative to encourage themselves and their colleagues to set and attain health goals. The challenge encourages employees to create a team of two members who can serve as accountability partners. Each team will weigh in during the first week of the competition (January 8th – 11th) and again during the final week (March 5th – 8th). The team who has lost the highest combined weight percentage will be named the Challenge Champion! Prizes will be awarded on March 16th at the GET FIT awards ceremony. Last year’s GET FIT Challenge was a huge success. Lincoln Health System had 61 teams participate and we hope the 2nd Annual event will attract even more employees looking to GET FIT!